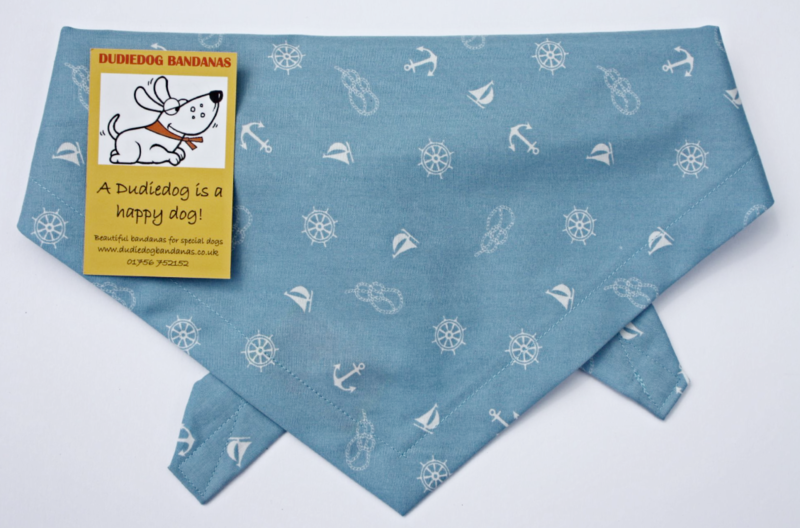 A lovely summer holiday Nautical dog bandana with a pale blue background and a print of little yachts, knots, anchors and ship's wheels. 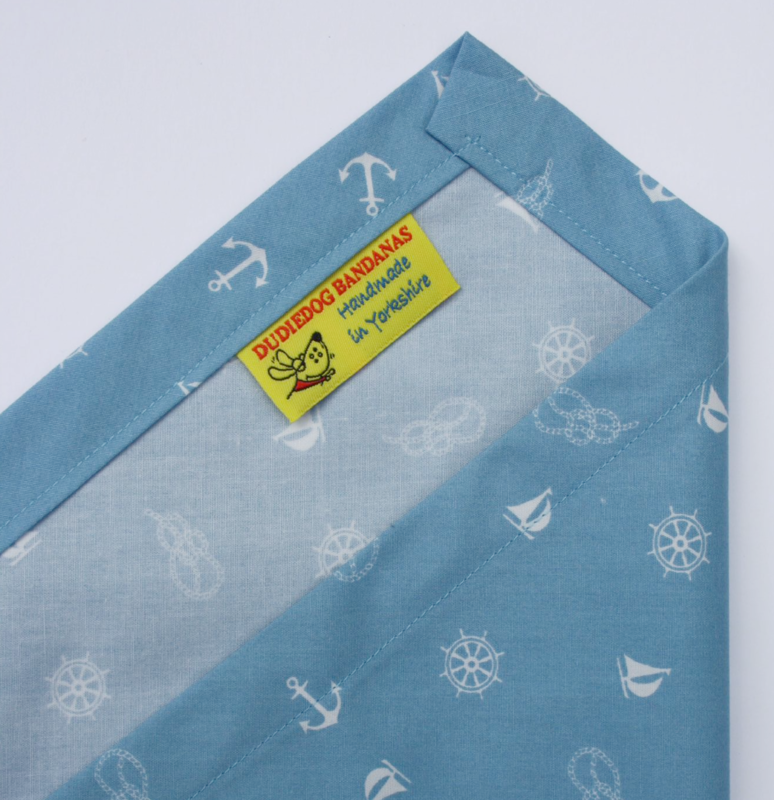 This bandana is perfect for any Dudiedog having a trip to the seaside! It's a great, cool and classic sailor look for any dog.